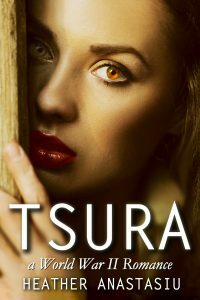 In WWII Romania, Tsura, a young Roma (gypsy) woman, has no choice but to leave her lover, Andrei, behind and marry the grandson of the man whose basement she and Andrei have been hiding in. An epic WWII saga, for fans of The Bronze Horseman and Outlander. “Yes, you’re only mine,” Andrei bent over and growled in her ear. “When you put on that dress for him and walk down the aisle in that ugly goy church,” he kissed her hard before putting a strong hand to the back of her neck, pulling her forehead to his, “you think of me, here. When you say your vows to that man, you remember that it’s me who has owned your body tonight.” He again pressed his lips to hers. It was a claiming.